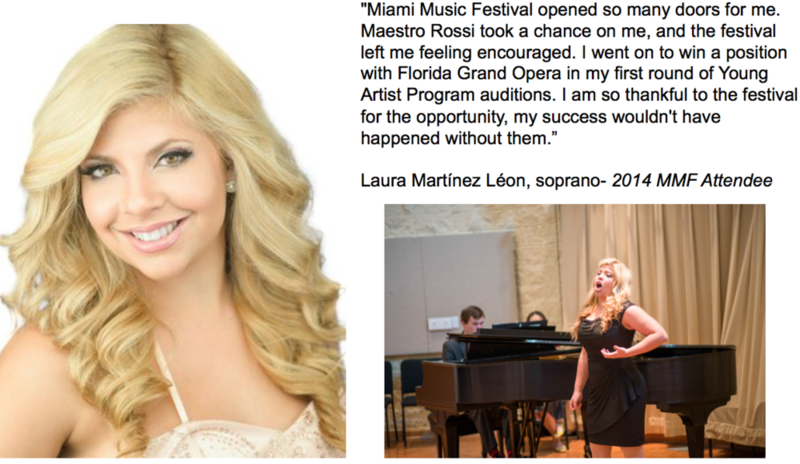 Join us in supporting the Miami Music Festival for Give Miami Day–South Florida’s annual nonprofit giving campaign. The Miami Foundation, Knight Foundation and other partners will maximize the community’s generosity by making a bonus gift for every donation between $25 and $10,000 received on November 16 through givemiamiday.org. Donate Today to support the next generation of musicians. As Miami Music Festival continues its commitment to keeping classical music in Miami all year long, we ask that you consider making a gift during our Give Miami Day campaign. Consider a gift in tribute of a loved one, an employer-matched gift, or a gift representing you or your group. Give Miami Day is South Florida's annual nonprofit giving campaign hosted by the Miami Foundation. Twenty-four hours of giving begins at midnight on November 16 and ends at midnight on November 17, 2017. The Miami Foundation and partners will maximize the community's generosity by making a bonus gift to participating organizations for every donation between $25 and $10,000 received on November 16 through givemiamiday.org. Visit our website on November 16 and click on the Give Miami Day button, or visit our profile on the GiveMiamiDay.org website at https://givemiamiday.org/npo/miami-music-festival. All gifts can be made through the secure online portal or by calling #305.371.2711. All gifts made are 100% tax-deductible. Thanks to your generosity, we are able to continue our mission while expanding programming, increasing our community outreach, and moving forward in creating unique opportunities that bring pride to South Florida culture. No amount is too small to make a difference and supporters can donate securely online from anywhere in the world by visiting our profile. Give in memory or tribute of a loved-one, give an honorary gift to celebrate a special occasion, or give to represent your community. Your support establishes essential assistance for these creative and enterprising young talents and invests in the longevity of classical music through scholarships and general program operation.